NOTE: This joint review contains NO SPOILERS for the series that are not already mentioned in the synopses of these books. Clanless was a mixed read for me. 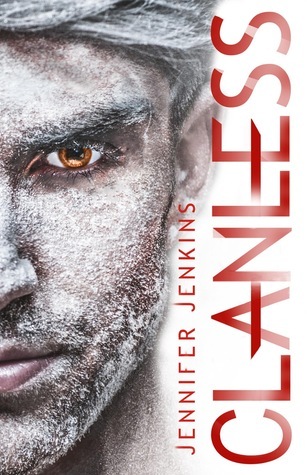 Nameless seemed like a promising start to a new fantasy series--fast-paced, slow-burn romance, and plenty of plot twists to keep readers guessing. I loved the world Jenkins had created and, more than that, I enjoyed the secondary characters and the originality of failing to fall for typical YA tropes. But, Clanless was a far cry from the sequel I was expecting after the cliffhanger ending of Nameless. In Nameless our heroine, Zo, infiltrates the Ram territory to spy and pass on information to her clan, the Wolves. Her plan goes for a toss, though, when her eight-year-old sister, Tess, follows her in. Now, Zo is determined to escape the impenetrable fortress with her sister instead of risk her life for the Allied, an agreement of clans to unite against the Rams. The Ram clan is ruthless, training their young for battle from the start and killing anyone and everyone who doesn't pass their tests. Now, their numbers have dwindled and the territory they've amassed is failing. They don't have enough food and their captured slaves, the Nameless, outnumber the Ram. As they make plans to attack the Wolf and the Raven clans for food stores, the Nameless gather in rebellion and Zo passes on information. But Zo doesn't expect her life to become intertwined with Gryphon, a Ram striker whose father deserted the clan, making him work twice as hard for everything he's achieved. Nameless works because of Zo and Gryphon, individually. They're both battling with their loyalty to their clans and the new information they're uncovering about each other but I love that Zo never loses sight of her goal and Gryphon allows himself to be open to new ideas. Ideas like realizing that the Ram attack the weak, would kill his best friend's newborn child for a slight lip deformation, and that Ram can fall in love with other clans, too. The secondary characters, namely Gryphon's foster brother, Joshua, are fleshed-out characters in their own right and I loved the large host of characters that accumulated as the story went on. 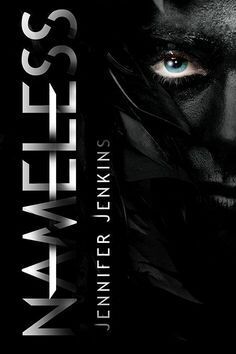 In Clanless, Jenkins continues to prove that she is an expert at action, never losing the fast-pace that she has set in Nameless. But, where Clanless falters for me is in its portrayal of male and female roles. Early in the story, Zo and Gryphon are separated and believe that the other is dead. This drives the entire plot of the story forward as Zo fights for Joshua and Tess and Gryphon sets out to fulfill Zo's desires for him. While I continued to enjoy their individual story arcs, particularly because the world-building is so well-done in this sequel, I grew annoyed by the very stereotypical gender roles. For me, the best aspect of fantasy is the fact that it isn't our world. Not our world, not our rules, and it doesn't have to be our gender stereotypes, either. This was such an incredible opportunity for Jenkins to use Zo and Gryphon's independence from one another to build their individual characters for the first time. Instead, I felt as if so many key moments in this plot became Zo fighting off unwanted attention because of her beauty (again), Zo falling and crying and breaking apart because Gryphon wasn't there, Gryphon having to nearly yank up a tree to express his grief, etc. This world is far more patriarchal than it needed to be, especially because it's fantasy. All of these clans have different customs, religions, languages, and fighting styles. They all look different and have different builds and skills. But they can't have different gender rules? I didn't buy it. The world-building expands significantly in this novel and though I am quiiiite sure I've predicted a "major plot twist" in the final novel, I'm still planning to pick it up. I love the concept of this world and especially the way that the differences between clans and the misunderstandings about clans are a mirror of the way we misunderstand and stereotype other cultures and races in our own world. But, I do feel like Clanless is a huge missed opportunity for Jenkins, despite the action of the plot and the expanded world. If you're not as critical of fantasy or gender roles, though, I suspect this is going to be a hit. If I recommend the series remains to be seen with the release of Book 3, but so far, it's a mixed bag of high highs and low lows. This actually sounds pretty good. I like the cultural diversity. It's just too bad about the stereotypical gender roles. I think most of us have had enough of that tbh. This sounds right up my alley. I love high fantasy and traveling to different worlds and societies. Great review! Besides the fact that these type of books are typically low on my list, there is something about the covers that's not agreeing with me. The world building sounds on point, though. Oh no. I just about gave myself whiplash, looking at your joint rating. 4 stars and then 2.5 stars, dang. I remember seeing all the hype for Nameless! So many blogger friends kept pushing me to read it. But I told them, I want the series to be completed first. THIS is why. Book two sounds not great! I'd probably be put off by all of the whining and complaining (from what it sounds like). I'm glad you liked the first book though. If you read book three, I hope you enjoy it! I had to double check your rating for the two books because they're so different. I wouldn't even have considered this series because I don't find those covers appealing - which is often what makes me pick up a book I haven't heard of - but you rated the first book so highly that I was tempted to give it a try too. It's too bad though that the sequel didn't live up to your expectations. I find characters that constantly cry super annoying so I'm going to pass on this for now. If you end up loving the third book, I may have to change my mind. Sometimes I can forgive the gender role rigidity but other times it bothers me so much. I'm not sure where I would fall here, but the rest of it sounds like something I should try. I hope the 3rd book fixes some of what went on in the second... but all I know is that I do want to try the first book! :) Brilly review. I'm intrigued, but I won't make a decision as to whether or not to pick this one up until the series is completed. Great review, Keertana!